Romancelandia is a place filled with butterflies, rainbows, and naked, frolicking satyrs. 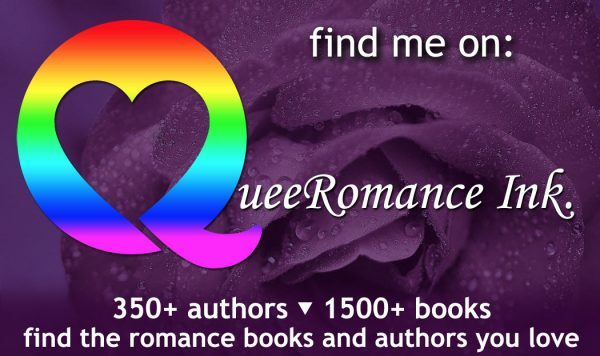 Not to mention a nosy author who delves into the very private love stories of all the heroes who wander here and writes their Happily Ever Afters in great detail. The “heroes” in Romancelandia are normal men with normal flaws. Men who maybe need to feel a little bit heroic because life hasn’t given them many opportunities to be valiant and audacious. Each hero’s tale is fraught with emotion, some peril, and a healthy dose of laughs. Sometimes a man stumbles into “Romancelandia” looking for his next “happy ending” (nudge, nudge, wink, wink). Maybe he was lured here by the thought of chasing a satyr down a path to a decadent pleasure den. Such heroes need to beware: other men wander this magical land, hunting their One True Love. These heroes’ accidental suitors never seem upset by The End, not once they’ve been bagged and tagged by their own Prince Charming and hogtied by their HEA. Remember, what happens in Romancelandia will always end up in a book.